Download the Windows® driver for FREE! 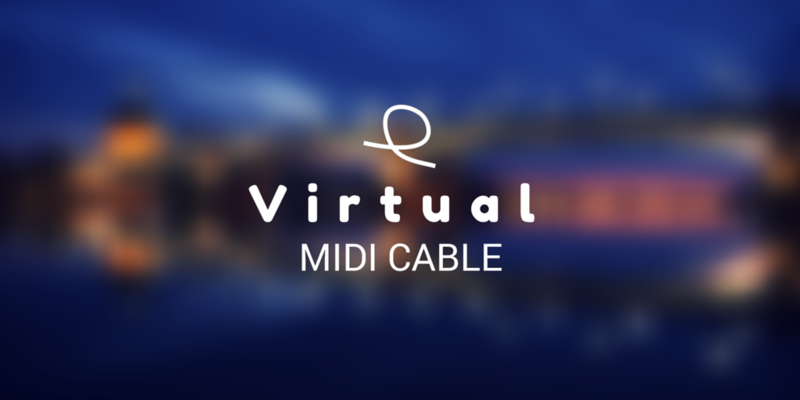 Sbvmidi is a virtual MIDI cable driver for Windows®. It creates 8 MIDI devices on your system that you can use to convey MIDI data from one application to the other. It is the same as plugging a physical cable between two external devices. It has been used by thousands of customers of AutoTheory since 2014. In fact, if you already have AutoTheory (up to version 3.5) for Windows®, you don't need to install this driver since you already have it on your system. Although it is recommended to upgrade to the latest version of AutoTheory to get the latest improvements in the driver as well. Double-click the installer and follow the instructions. If you have an application that generates MIDI notes, simply select one of the virtual MIDI devices that have been created by the installer as an output. Then, select the same device as input of your second application. For example, a DAW (Digital Audio Workstation) that could record the incoming notes. Our driver has been tested on Windows® 7 up to Windows® 10. The installer contains both 32 bit and 64 bit versions, and will select the proper one to install according to your system. Last update 12/2016: Starting from version 1.0.2, it is now certified to work on latest Windows® 10 updates. This program is FREE for all personal uses. It is also Open-Source, meaning that you can even improve it if you have the knowledge. If you are a developer, you CANNOT bundle it for free with your app. You need to purchase a license first. Please contact us at sales@springbeats.com.